GIGAMO is a 3.5 inch 90mm magneto-optical (MO) disk with up to 2.3GB of storage capacity. The drives have SCSI interface - something which is less common in work-horse PC's and Macs today, having been taken over by SATA. Disk sizes are 128MB, 230MB, 540MB, 640MB and 1.3GB media, and commonly we are asked to transfer Gigamo files to CD, DVD, USB Flash memory or even another hard disk drive. If you need a Gigamo 90mm MO disk data file transfer service, then contact our friendly company. 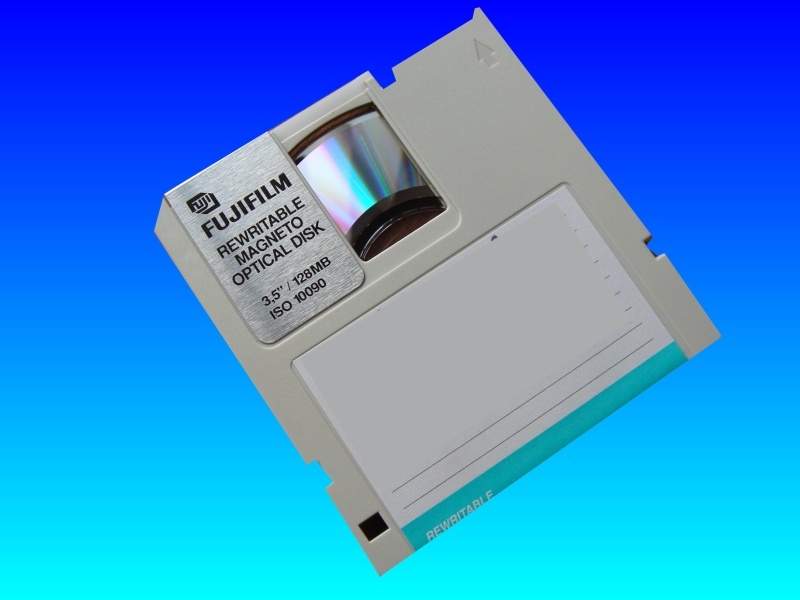 GIGAMO is a 3.5 inch 90mm magneto-optical (MO) disk with up to 2.3GB of storage capacity. The drives have SCSI interface - something which is less common in work-horse PC's and Macs today, having been taken over by SATA. Disk sizes are 128MB, 230MB, 540MB, 640MB and 1.3GB media, and commonly we are asked to transfer Gigamo files to CD, DVD, USB Flash memory or even another hard disk drive..